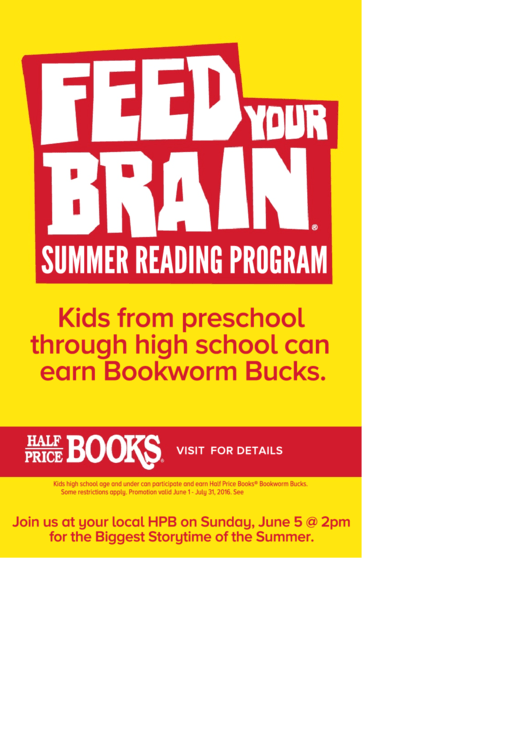 Kids high school age and under can participate and earn Half Price Books® Bookworm Bucks. Some restrictions apply. Promotion valid June 1 - July 31, 2016. See for details. for the Biggest Storytime of the Summer.